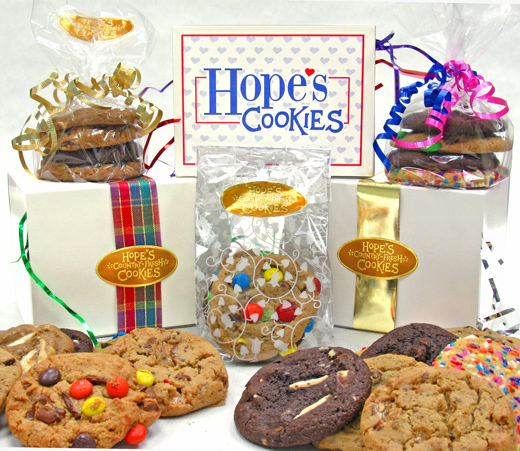 Customized Gifts | Hope's Cookies - Hope's Cookies | Gourmet Cookie Gifts Online - Cookie Delivery Across the U.S.A.
Hope's Cookies can help you put together cookie gifts for any occasion. 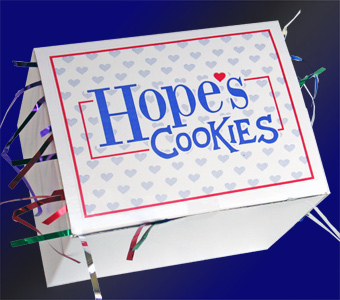 The packages will be customized for your specific need. 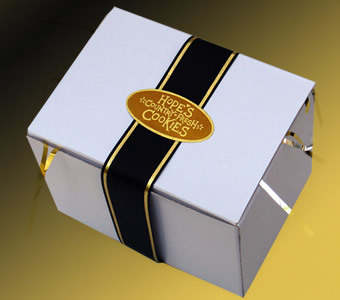 Choose decorative bags, boxes or both. CALL 610-272-4673 and ask for Sherri for personalized service. Bags displayed are examples. Other bag designs are available. 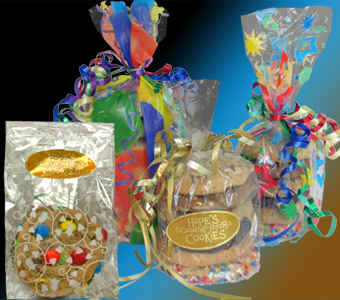 Special Order Only - CALL 610-272-4673 and ask for Sherri. 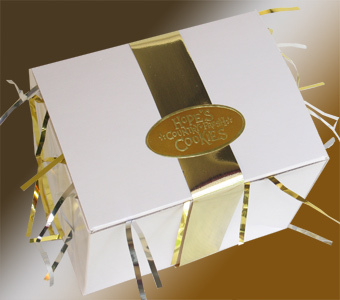 Our commitment to quality is your assurance of getting nothing but the finest, freshest cookie again and again. Enjoy a natural phenomenon!